I have lately read a lot of comments about Iceland being boring and calm. In reality nothing could be more wrong, Iceland is brimming with activity. So, let us take a quick look at some interesting volcanoes before we go to the namesake of this article. If we start in the far north there has been a persistant swarm with a few M3+ earthquakes located at a volcano to the east of Grímsey. The volcano in question is badly studied, but it is known to contain at least one highly active hydrothermal field. If one play around a bit with the earthquakes larger than M1.5 a pattern emerges that form a stack rising from 14km depth up to around 10 km depth. This is normally a sign of rising magma in Iceland. It is though a good idea to remember that this area is well known for its numerous intrusions and intense episodes of seismic unrest, so this may lead to nothing. Or, if we are really lucky it could lead to an eruption with an island formation. Bárðarbungas seismic unrest is slowly abating after the Holuhraun eruption. In the aftermath the level of seismic activity has been one of the highest recorded in human history. The reason for this is that the bottom of the caldera has continued to subside as a whole plug downwards due to loss of pressure during the eruption. This function has been the primary source for the earthquakes. After all, the caldera “plug” is basically a stone that is 339 cubic kilometer large and weighs 950 000 000 000 tons. Dropping a stone that size about 100 meters is indeed a noisy business. The loss of pressure has also caused deeper and smaller earthquakes that are signs of fresh magma rising up from the depth and confusingly enough these earthquakes are caused by increased pressure. For now these earthquakes will not cause an eruption since it will take quite some time to rebuild enough pressure for an eruption to be possible. In the end Bárðarbunga is far less interesting than it seems for a casual observer. So, without much further a due let us leave this particular giant and move on south. Lately there has been a lot of talk about Katla and the ongoing seismic unrest. Only problem is that the bulk of the earthquakes belong to the Gódabunga system and not to Katla in and of itself. Gódabunga is a nascent magma reservoir emplaced at 4km depth and may form a future volcanic centre in between Katla and Eyjafjallajökull. The seismic unrest has been shallow and may have caused an increase in hydrothermal activity. Nothing points towards an upcoming eruption at Katla at this point, but that might change with time. Now it is time to turn to the two likely volcanoes to erupt soon in Iceland. The highly enigmatic volcano of Hekla is known to be a very quiet volcano between eruptions with perhaps one or two recorded earthquakes every year between eruptions. As an eruption starts you get between 90 minutes and 32 minutes of minor earthquake activity prior to the highly explosive onset of eruption. During the last 5 months there have been weekly earthquakes and sometimes even daily earthquakes directly under the volcano ranging from 7km depth to 0.1km depth. 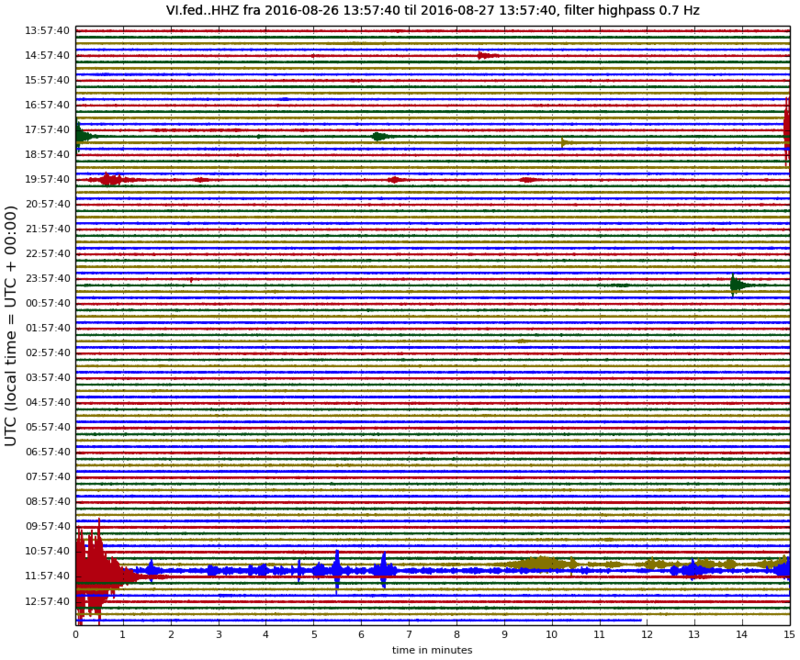 The magnitude of the earthquakes has been minor ranging between M0.1 to M1.5. To be quite clear, no period like this has ever been recorded at Hekla. But, before you go off screaming wolf there is a factor we need to look at and that is that the seismograph network around Hekla has been extremely upgraded in the years after the last eruption in 2000. The individual seismographs are now between 10 and 100 times more sensitive, and there are quite a lot more of them now. If you look at the system as a whole it is about 1 000 times more sensitive than before the last eruption. So, it may be that Hekla has had episodes like this before the last eruptions and that we could not see it. This is called technological skew and it can cause over-interpretation of data. But, if we look at the data that we do have in the last few years since the last large upgrade we see that there has been no such episode. The million dollar question is if Hekla will erupt soon. I would say that it might do that, but that we will not know until a few minutes before the eruption starts when a brief smattering of between 10 and 50 earthquakes happens in a very short time frame. Let us just say that Hekla is not a good spot to hike on right now. Satellite image from May 11 / 2011. Source: JPL/NASA. If Hekla is enigmatic and unpredictable Grímsvötn is the opposite. Prior to the 2011 eruption I developed a predictive model for Grímsvötn that accurately predicted the upcoming eruption 6 months before it actually happened, as such it is probably the earliest predicted volcanic eruption that actually happened when it was predicted to happen. If you have a fine enough set of data you could for all point and purposes exactly predict any volcano like Grímsvötn years in advance using finite element breaking point threshold analysis. Sadly there is no such data on Grímsvötn. But, we roughly know the location and distribution of the magma reservoirs under the volcano, and there is a bit of data from other large caldera volcanoes in Iceland that I used as approximations for Grímsvötn. Another thing we know is that Grímsvötn is a very steady erupter and that is pointing to the volcano having a fairly steady influx of magma from depth via open conduits. The open conduits are deduced from the fact that we do not see earthquake stacks forming as the magma move upwards into the upper magma reservoirs. So, if magma influx is a steady number we should get an inverted logarithmic build up of the strain. And that strain build up should be evidenced in a logarithmic curve of cumulative seismic moment. And to finish the predictive model off we find that the finite element modeling points towards there being a fairly stable point where one of the reservoirs ruptures. Now I am done with the highly simplified technical mumbojumbo and we are ready to go on to actual data. But, before that I need to point out that to do modeling like this you need to rely on a lot of data that requires a tremendous amount of research that was done by a lot of good scientists at the University of Iceland and the Icelandic Met Office. Secondly you need data from quite a few eruptions to check your model against, and it is pretty much only Grimsvötn that this is possible at due to the good work of the University of Iceland and the Icelandic Met Office. Now time to leave the mathematical modeling and look at real world data. In that real world data we indeed find a breaking point where the pressure exceeds what a reservoir at Grímsvötn can hold, and it is possible to easily follow that on a graph representing the energy released from Grímsvötn earthquakes equal and larger than M1. The graph below shows curves with starting points set to the day after the previous eruption and that run up to the moment the eruption starts. Then the graph is reset. For some reason this graph only show the two previous eruptions and the current graph running up towards the next eruption. It is though good to know that the time between the 1996 Gjálp eruption and the 1998 eruption looked pretty much the same as the other two with the 1998 eruption breaking point being slap bang in between the 2004 and 2011 breaking points. 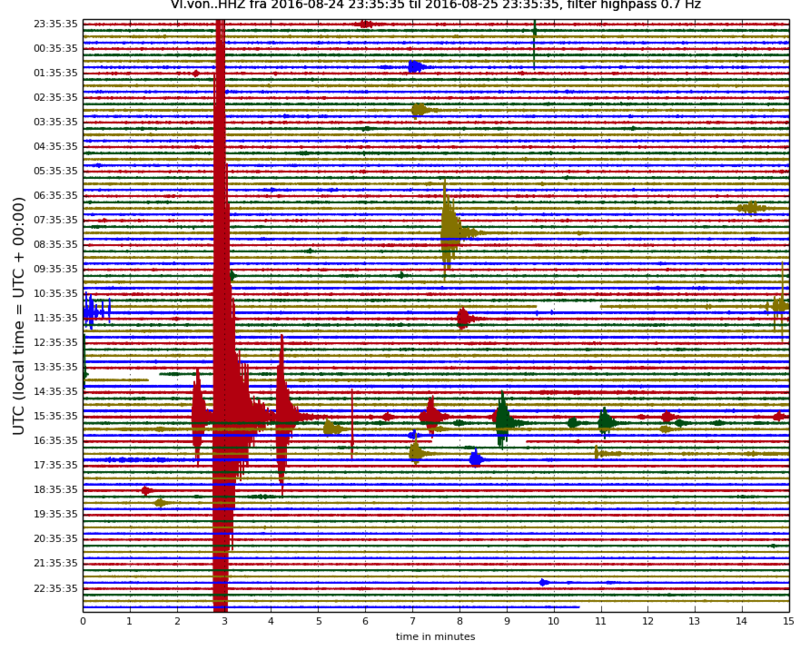 The Cumulative Seismic Moment page at Vöktun Vatnajökuls. Source: Icelandic Met Office. Here is a neat thing. You do not need a higher degree in physics and pages of weird mathematic symbols to predict Grimsvötn like I did. I just did it to prove a theory, in the real world you just need to keep an eye on the graph and watch what the cumulative seismic moment is and you can predict the time of eruption as well as I can. Currently a temporal volcanic forecast for Grimsvötn would say that it will erupt at any time between 100 days and 3 years depending on the rate of cumulative seismic moment increase, and that as we draw closer that prediction would grow far more exact. If you wish you can do statistical modeling over what curve would be most likely and you would come up with 2 years as the most likely time for the next eruption unless something changes in the system. Another thing that the finite element theory tells us is that the eruptive loci will change from eruption to eruption since there is more than one magma reservoir. The logic behind this is that the pressure will always be to lower in the reservoir that just erupted compared to the others. 1996 the eruption was a rift eruption emanating out of the northern reservoir, in 1998 the eruption came from the southern caldera wall, in 2004 the eruption came from the eastern side of the caldera; in 2011 it was once more from the southern side of the caldera. If we now look at the location of the earthquakes that has happened in the last six months we find that the earthquakes once more follow the predictive modeling with the second largest release of seismic energy being towards the Gjálp fissure and the largest being towards the east with very little energy being released at the southern caldera wall. So, we can even limit the location of the upcoming eruption to either the NE caldera wall or the E caldera wall. The eastern earthquakes have been forming lineaments due east towards Hamarínn Volcano indicating that the next eruption may be a radial fissure eruption like the 1996 Gjálp eruption. The large jump in the Cumulative Seismic Moment graph was a M3+ earthquake that happened 1/3rd of the way towards Hamarínn smack bang on the indicated radial fissure and could indicate a future eruption site. 3 episodes of unrest, so far the third is the largest. Source: Icelandic Met Office. So, as you can see forecasting volcanoes does not involve watching the moon, reading tarot-cards, tea-leaves or raccoon gizzards. Instead it involves logic, research, mathematical modeling, nice visual graphs and foremost a lot of empirical data. Then you test your model, improve it with new data and see if it works once more. Drumplot showing the last two episodes of unrest. Source: Icelandic Met Office. Before I leave you to watch a very slowly changing graph at the excellent IMO page called Vöktun Vatnajökuls I want to once more say that this particular way of predicting an eruption only works for Grimsvötn so far. It may in the end be possible to extend it to all Icelandic main type volcanoes, but that will take a lot of time and way more data than we currently have at this point. And before anyone ask. I used a completely different model to predict Bárðarbungas 2014-2015 eruption, but I will get back to how on earth I pulled that one off sometime in the future (hint, it did not involve reading badger gizzards). As some have noticed Grimsvötn has suffered from a minor Jökulhlaup in the last few days. That one may have been caused by what are 3 episodes of hydrothermal unrest. Hydrothermal activity in Grimsvötn is known to increase as we near an eruption. I always love to read about the volcanoes in Iceland. Thank you, it will be interesting to follow the activity during the run up. That’s a big quake for Grimsvotn – odd timing with this post too. It still hasn’t shown up on the drum plot (lag), but looks to be very shallow. Looking at the cumulative seismic moment graph, M3+ must be fairly rare at Grimsvotn? Grimsvotn is almost as quiet as Hekla. Really odd that a 3.6 happened right after this article was published. The M3.6 today is an error in the automatic system. The M3.6 referenced in the article above is as far as I know the largest recorded at Grimsvötn. Another awesome article from Carl! Please note that today’s M 3.6 is of very low quality (Quality 50.5), shows up on the GRF drum as a smeared/wet M 0.8 and – most important of all – has not yet been checked by a seismologist. For those of you who have seen the drone footage of Amatrice following the large quake that hit the region…. Amatrice falls midway between the MMI-VII and MMI-VIII intensity contour curves. According to my calcs, the ground there had a velocity of between 23 and 43 cm/s and an acceleration of between 24.1% g to 48.3% g.
Keep that in mind when you see damage estimates for potential quakes and you can better visualize what can happen. Amatrice is living through the aftermath of that horror right now. Looking at the scene, it’s almost difficult to comprehend that the quake was only a 6.2, it looks somewhat similar to Kathmandu last year. Obviously it’s an old settlement with weak buildings. Not a good sort of area to live in considering how notorious that area is for strong quakes. After Aquila they* got away by falsely accusing the scientists. You cannot help but wonder how they* will try to avoid exposure this time and if the general public is stupid enough to believe them yet again. I am sorry if this offends anyone, but there is no such thing as a disinterested politician even if we’d like to believe there are. Generally, I would stick to volcanic comments but with such a horrendous tragedy as this, it is impossible not to speak out. * They = construction firms + politicians who take kick-backs in order to grant permits for clearly sub-standard building projects. Thank you for that. I have a similar opinion but didn’t feel it was my place to state such out here in the open. You echo my sentiments exactly. To Second your thought, isn’t it amazing how urgently they worked to mitigate the threats following that other disaster? Redacted since Albert has advised otherwise. In my defense, I haven’t been in Italy for years… and never in that vicinity, but Naples was a hoot… as was Catania. That is not clear to me. In the main affected town (Amatrice), the town centre is worst damaged and those will have been the older buildings. On the images, newer buildings look badly damaged but are still standing – for now. The older houses are brick and wood construction and those were not able to deal with the shaking. Another village was build on a slope and seems to have been taken out in part by rubble slides. The old part was on the slope and is gone. The newer houses near the top survive. So you may be right but I will withhold judgement for now. There was a requirement to renovate old houses to earthquake standards but this only came into force a few years ago (well after the Aquila quake) and such a process takes decades. Italy has many faults but this was not maffia country. On Swedish television, the news this evening is that an Italian prosecutor has begun investigations into why recently renovated buildings have collapsed while older structures still stand. Apparently, almost the entire town of Amatrice had been renovated recently and only last year it was voted the best town in Italy. But as you point out, we do not have the full picture yet. Here an article about the ‘mistakes’ they made in improving the buildings and the pending investigation. It’s in german language, but google translate should help. They used more sand than required to save money – the walls got pulverized during the quake. And yes it is mafia country as well. I attribute the extensive damage to unreinforced masonry construction. The Charleston SC M7.0 quake in 1886 also did a lot of damage, and in the aftermath, they at least tried to reinforce the remaining masonry/brickwork. The nasty part of masonry is increased lateral loading that the structure wasn’t made to deal with. The midpoint of a stone wall has to deal with the inertia of it’s material. Beyond a certain point, the stack of bricks essentially becomes unstacked, and fall over. Whatever mass the wall was supporting looses footing and comes down as well. The issue is that buttressing everything gets pricey, and you soon run out of places to walk/drive as the roads become congested with buttressing for all the building walls. Years ago, I was stationed in San Diego. We had an out of the blue small quake in San Diego bay on a fault line that no one knew about at the time. What got my attention was the motion of the apartment building where I lived. I did not like hearing the various truss joints creaking. I live in Florida now. Back in my years in Coos Bay Or. I was in Real Estate. I went back to Aviation-it’s less expensive. commercial building. He and I discovered two things. We both did-he to Vegas me to NE Oregon. Living outside of Charleston, it is interesting to walk around East Bay, Market, King, Queen, & Broad Streets and see how many of the old buildings (churches, warehouses, etc) have the bolts in them. Everything East/North of East Bay St (including the shipping terminals) was once marshy pluff-mud and the side-streets themselves used to be the 18th century wharfs and piers and are named after them. Many businesses today occupy buildings that were erected prior to the Great Quake. Considering that much of downtown now is at or below sea level, sits on reclaimed marsh, and most older homes are at least 3 stories tall (tangent: the older and/or historic structures have very narrow frontage – homes are narrow [25-30 ft], long [60-70 ft] and tall [3-4 stories] and commercial buildings can be even longer, taller, and narrower – due to how taxes were assessed way-back), it would not take much to set them off like so many dominoes. Dodging sinkholes isn’t that hard. They tend to occur in areas where the ancient transform faults from the opening of the Gulf of Mexico have fractured the limestone bedding that underlies the area. The closest one to here passes under panama city and northward through the Defuniak Springs area. The Port St Joe fault. All along that trend you find sinkhole initiated lakes and ponds. 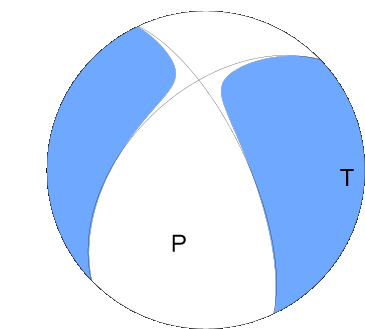 The eq was in the accretionary zone between the two plates, which might have made the impact worse. Which is the odd thing about it. Per the USGS comments, it was normal mode faulting on a shallow dip. Acretionary systems typically have thrust mode quakes. USGS also say that the normal faulting here is as a result of the widening of the Tyrrhenian basin to the west. The Adriatic Plate is rotating in an anti-clockwise direction; not clear how this impacts the region around Norcia. But the area is having a rough time of it: a 5.5 shortly after the initial quake and some 4s. “The eastern earthquakes have been forming lineaments due EAST towards Hamarínn”. Isn’t Hamarinn to the west of that area? On another note, how explosive is the next eruption likely to be compared to 2011 (if there’s a way to tell at this point)? Part of this is likely due to the spelling. We tend to anglicize the word into Godabunga, which is properly spelled “Góðabunga”. If you google Góðabunga, you will get different search results, and this will change even more if you use different versions of google (for example, using google.se for the swedish google will be different). Pretty close, but the Icelandic spelling is actually Goðabunga… You can look at my comment higher up on the page where I explain the difference between the two. It is a mountain, hence Fjalla (= mountain in Icelandic, again genitive form) In the UK, Scotland predominantly, there’s “Fell” which shares a common Norse or Scandinavian origin with Fjall. It is topped by a glacier, “Jökull” in Icelandic. In contrast to English – which is a pigswill brew of Celtic, Latin, Germanic, Norse and French (another hodge-podge of a language) – Icelandic is a very much a pure and unadulterated language. How does that square with Uptyppingar? Yeah, I asked that. Someone had to. If you wish to answer via email or another method, that’s fine. Thank you, but I will leave Uptyppingar to the locals as well as Geirvörtur. I second Bjarki, you did pretty good. The site might once more become a little more unstable for the next while, whilst I try and get our plugin working once more. Full functionality should be restored, please let me know of any issues that crop up. I think that’s related to the issue. I’ve stopped recieving comment emails also. If you don’t get notified when the next one is published, it might be worth unsubscribing and resubscribing to see if refreshing the subscription helps. That is quite a large area (as well as not very well studied). Were there any particular volcanoes or area that you had in mind? Erte ale, oldoinyo lengai, Kilimanjaro, nyamuragira, nyiragongo……among others. I know that we have covered some of the African volcanoes in the past, the only problem being that those articles are in the archives of the old, hijacked site. That said, it’s always nice to learn what our readers are interested in and would like to read about! African Volcanoes are generally very-under studied with the exception of the few that are in a constant state of eruption. You can go up through the entire rift valley, and there are tons of active volcanoes that we know next to nothing about. I’ve tried doing more research on these volcanoes through google scholar, but it’s simply too hard to find any good sources of information to get a better view of their behavior. Lots of stuff behind pay-walls as well (and I’m pretty good at finding alternative sources). I’d like to know about dubbi (the one they thought had erupted when it was actually nabro) but it’s in eritrea so odds a low on finding out much beyond the wikipedia article I guess. Thank you! That is an extremely useful tool for visualising the tectonic setting, esp if you zoom out. That being said, I really love these maps of yours. Thought as much, it’s just nice with a clear sign of what units we are supposed to read various numbers in. Not sure that even Ian can measure them that accurately! Literally behind my house up on the Flat of Morgan lake above. Turkey Fryer, don’t think it was those people. A swarm that is building a stack started in Bardarbunga. Looks interesting on 3dbulge! South flank fault slip or volcanic? Volcanic: it is on the magma path. So I noticed something that I think looks a little interesting on the USGS earthquake map… I see there’s been a series of shallow earthquakes right around an old cinder cone Just south of the owens valley. I drive past it every time I drive from San Diego to Bishop – the road runs _right_ next to it. Would anybody care to comment about whether the quakes would seem to be caused by anything volcanic here? Or is this more due to things shifting around on the owens valley fault? Hm – I see no-one replied. Well, as a complete thicko, my best guess is due to the shallow depth it is likely to be old faulting shifting about. But, that said, always worth watching! Sorry. Owens valley is generally part of the walker lane stuff. It’s generally thought that walker lane us slowly taking over as the principle area dealing with pacific plate north American plate relative motion. The last I saw, 15% or so of the motion was taken up there. If we’re setting up a pool for when Grimsvötn erupts, I dibs 30 February 2017. Hehe, you guessing a date that does not exist on the calender? I personally doubt it. Bardarbunga is still in recovery mode from the last eruption. I’m not ruling it out, but I would be very surprised if Bardarbunga erupted in the two years. Fighting wildfire with a 155mm howitzer..
Nice read Carl, She is getting noisy, isnt she? Small earthquake swarm has started in TFZ. It’s a long time since I poked my head outta da shell. My thoughts are with all those in Italy and beyond who hare struggling with the aftermath of the quake.Let’s hope the blame for the horrendous death toll is not laid at the feet of scientists who” failed to accurately predict” this event. Carl another great post. (I have been Lurking….NO not that Lurking but lurking lurking,Lurking is Lurking and nobody could ever emulate him). My take on the situation in Iceland is that Lady Hekla is being her usual prissy self, Madam Hekla is way behind schedule and sulking… She never forgave Miss Eyaf for upstaging her and Baaa…dy..has to get his breath back…( I always consider Baaaardy as sheepishly male.) Therefore it is up to Grimsvoten to fill the space that all Volcanoholics are watching. Hugs to all and thanks to those who have messaged me over the last few months. I really haven’t forsaken VC….Just a nasty twist of fate and a rear attack. The floor attacked my rear and left me somewhat legless. Well! My legs are actually here but didn’t work well. Couldn’t climb our steep stairs and my PC is up here in my “Office”. My Kindle is useless for writing ruminations and anyway I forget to charge it and by the time it’s charged I have forgotten what I want to write. I’m glad you’re doing better now. Usually when one has been rear ended by a car, that person is at fault. So you’re quite right in blaming the floor. 😀 I hope you’re doing much better now. Hi Diane, glad to hear from you. I always enjoy your contributions but do lurk (leaving Lurking to Lurk) if that helps you most! Hi Diana! Nice to hear from you. Good to have you baaack…. Sorry to hear about your troubles, Diana. Hope it all mends properly. looks like magma moving at Hekla? Why were we reading about the Cascades, and within one hour, Iceland came up again? Lets have some articles about volcanoes other then Iceland!! There is currently nothing happening over there, so give other volcanoes, active and sleeping, a chance! Iceland volcanoes are the easiest to monitor and see stuff going on, so this lends itself to more discussion around them. Also, they’re relevant, highly active, and there is almost always something to talk about. I don’t think people are against discussing other volcanoes, I certainly am not. If you want to talk about any other areas, I would suggest trying to start the discussion yourself, even if it’s just a question on some remote volcano. Request noted. We’ll see what we can do! The point of the article was that there are things going on there. In this case we published the article to mark the point of no return for the next eruption of Grimsvötn. Do not worry, there will be other articles about other volcanoes as we find the time to write them. And a small point here, we write articles according to our knowledge and personal interest and for our own fun. It is not like we are getting paid to write editorial material. That being said we always like suggestions about what to write about. The beach ball. Gurgle Urt doesn’t show a particular fault line for the quake location in their Quaternary KMZ files. This is a good 40km or so south of Yellowstone, and not at all related to the volcano. It’s an interesting quake, but large earthquakes happen near big volcanoes all the time, this is nothing volcanic. As CBUS points out, Yellowstone has a lot of faults that causes earthquakes. Some of them are far larger than this earthquake. Hebgen for instance. As pointed out, these earthquakes has nothing to do with the volcano itself or it’s ability to erupt. Could this have anything to do with the recent earthquake in Wyoming this happened two weeks ago ? It was reported on the 22nd August just thought it could have been poisonous gas although they are reporting it is a parasite. It s caused by Tetracalsula bryosalmonae (a microscopic relative of the jellyfish) which does not infect mammals but is deadly to fish. It attacks the kidneys and for freshwater fish, kidneys are essential. They continuously take in water through their skin, and get rid of it through the kidneys. Anything that interferes with their kidneys will quickly kill freshwater fish (sea fish less so: they lose water through their skin and drink to keep the water balance). The reports say that the very hot summer and low water levels have caused the parasite explosion. They didn’t state how the parasite got into the water but most likely it was brought by human activity. But with the changing summer temperature and water flow one may expect new diseases to arrive and initially to go out of control. It is a normal part of climate change. Thanks for that Albert. Yes! change of habitat conditions will always be displayed by changing animal behaviours as they adapt. Ranging from simple activities such as feeding and migration to major and sometimes catastrophic events usually due to increasing numbers of simple single celled life forms such as algae or bacteria. Viruses are the ultimate survivor experts and as we all know,every ‘flu season they can readily change tactics as the plants or animals create an immunity to a particular strain of the darn things! Once the breakout occurred the dike progresses north until it breaks the surface Aug 28th and the collapse of the caldera starts. 2 years already! Seems like it was yesterday! WOW! Can’t believe it’s been 2 yrs ago. Ehh, delete this comment and this one as the comment over was not supposed to be a reply to Luisport. And in response to the request for something not-Iceland, we have gone long distance. First part of a three-poster on new horizons. This was actually planned for tomorrow but I got the date wrong.